Oil storage tank installations need to comply with regional Building Regulations. In England and Wales, OFTEC registered technicians can self certify their own work without involving Local Authority Building Control. But if you choose to use someone who isn’t registered with a ‘Competent Person’ scheme like OFTEC, then you will have to obtain a Building Control Notice and arrange for an inspection which can be costly and time consuming. Similar rules apply in Scotland where you may need to apply for a warrant. Your OFTEC registered technician can advise you on this. 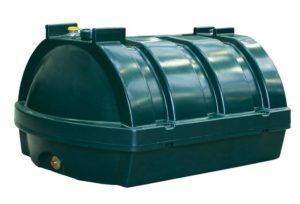 Under oil tanks building regulations for England and Wales, if the oil storage tank’s capacity is: Over 2500 litres – it must have secondary containment (bunding) Up to 2500 litres – it may need bunding depending on the outcome of an individual site pollution risk assessment.